The updated master plan includes recommendations that will breathe more life into downtown Aurora. 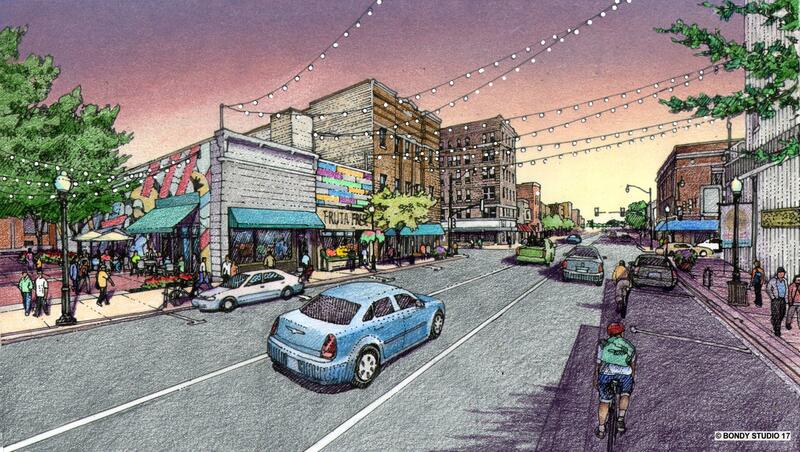 Aurora City Council approved the final updated downtown master plan on Nov. 14. Nearly two years after Aurora was awarded a grant through Chicago Metropolitan Agency of Planning (CMAP) to update its downtown master plan, the vision can begin. Preserve, enhance, and build upon existing assets. Make downtown a great place for people who live here. Make it easy to be creative and do business. CMAP’s recommendations recognize buildings, streets, people, transportation, and the Fox River as downtown’s greatest assets. They also suggest focusing less on getting people to come downtown, and more on continuing to make it so wonderful that they want to come. The plan also highlights creating opportunities to help entrepreneurs and artists. 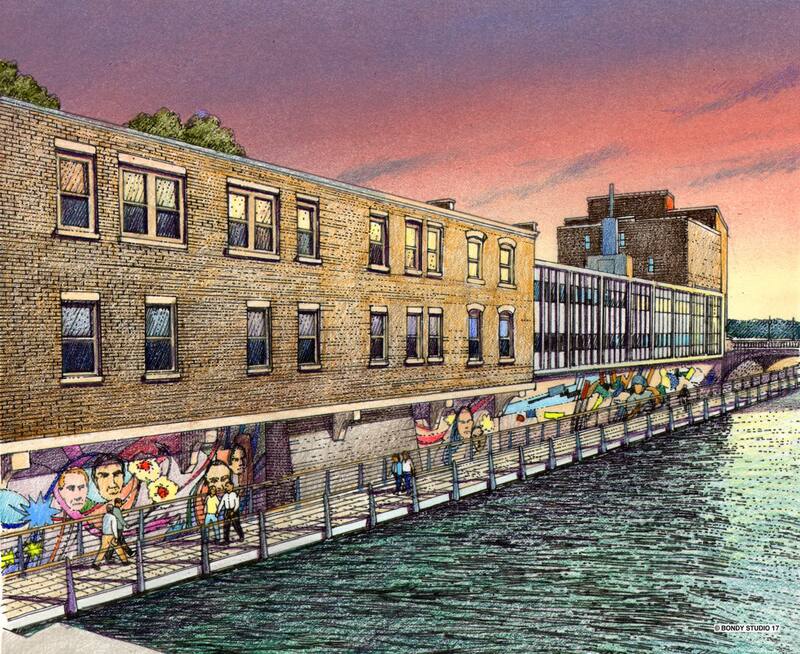 The updated master plan includes recommendations for renewed use of buildings plus the addition of murals and a new way to look at continuing the riverwalk through a floating riverwalk along the east bank. CMAP held the first Downtown Aurora Visioning Workshop on January 21, 2016 at Waubonsee Community College’s downtown campus. Almost 200 people showed up, packing the room and requiring some to be turned away at the door. Over the last several months, CMAP’s Lindsay Bayley and her team visited downtown Aurora dozens of times to interview people, hold open houses, meet with city staff, and set up public kiosks allowing downtown residents and visitors to participate in a survey. Now that the plan is approved, CMAP will continue to work with city staff into the coming months (up to two years) to advise the city on implementation. See additional renderings and follow the plan on Facebook here.